Are you located in Hawthorn and your iPhone, iPad ,iPod, Galaxy, Nexus, HTC, Xperia or Nokia device needs to be fixed by a professional technician team? Take a tram towards Flinders station and get off at Flinders Street then continue along Swanston St about 6 min and find us in Century building , we will fix your phone or device in 30 minutes while you wait there or while you are shopping and enjoy your time in Melbourne CBD. Also you can o to your nearest post office and post your device to us then we will fix it and post it back to you the same day for free. At FixSpot - We fix your broken, cracked or smashed iPhone screen, LCD digitizer, iPhone power button, iPhone home button, iPhone charger connector, iPhone lens for any model of iPhone 2G, iPhone 3G, iPhone 3GS, iPhone 4, iPhone 4S, iPhone 5S and iPhone 5C. Many repairs are done while you wait. 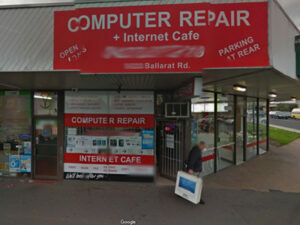 Get your iPhone and smartphone repaired by experts in Cremorne. Most iPhone repairs are completed on the spot within 30 minutes in FixSpot. We provide authentic genuine parts and good quality aftermarket parts for each repair, so customer could choose from our genuine and non- genuine (aftermarket) parts for your repair.Your satisfaction is our first priority, thus FixSpot always provides with the premium grade of iPhone parts from authentic official factory.Call Us Today!